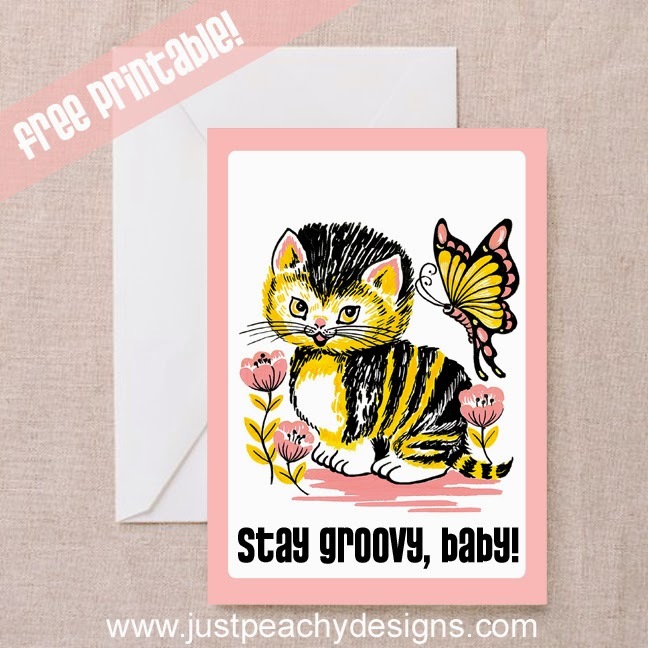 Here's a free printable card featuring that adorable retro kitty you might remember from this 8x10 printable. Just click the image above to download. Enjoy!